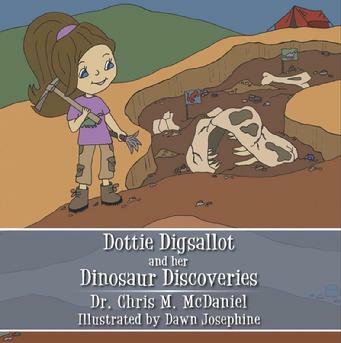 Follow the journey of our fledgling paleontologist as she travels to her favorite places, discovering new lands, and finding fun friendships! Our new hero does not dissapoint in this beautiful 33 page adventure! SUPER FUN! The letters glow in the dark! Dusty and Dottie have teamed up with several charities that benefit amazing children! 100% of the donations and bracelet proceeds go to organizations like Autism Speaks, St. Jude's Children's Research Hospital and The Childhood Leukemia Foundation. So please donate to DustyCares.org today! 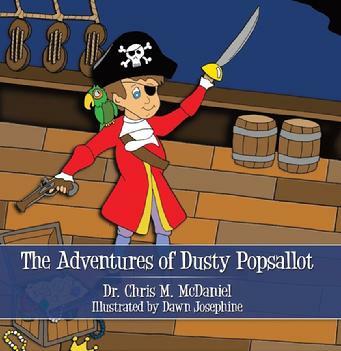 Meet our lovable hero Dusty Popsallot! Travel with Dusty and his trusty sidekick Funny Bunny Hopsallot as they explore their world of fun and adventure! Dont forget to challenge yourself by finding the 33 "hidden hopsallots" buried in the pages of this wonderful tale. 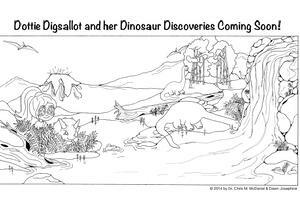 DOWNLOAD, PRINT and COLOR a SNEAK PEEK of DOTTIE DIGSALLOT!! !